Hi, with PFPX I set a route from LICC to LIMC. As you can see from the image below, after the KALMO point, the route continues south, up to the TORTU point, and then continues north again. In reality, such a route can not be true. Because PFPX behaves like that (obviously AIRAC are perfectly updated). Another question: can someone explain to me the meaning of these two warnings (in particular the second one)? Last question: save the flight plan for A320 / A321 Professional. I read here that you just need to change the "Airbus Extended" path to C:\Users\YOU\Documents\Aerosoft\Airbus\FlightPlans\, but there's nothing there, I have flight plans in E:\Documents\Aerosoft\General\A3XX Flightplans, is my folder correct? Have you installed David's RAD Restrictions and Directs from the download section ? I guess not from your image. 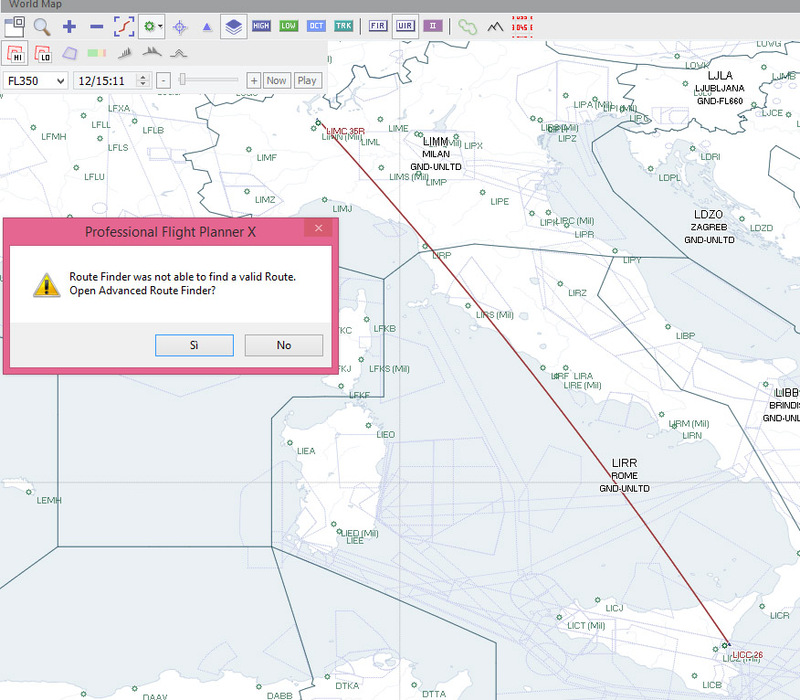 Italy is Free Route Airspace and there is no official data source available to the community, David's files help overcome this issue but cannot resolve all routes, that is down to the user. I have downloaded the files you have shown me (what are they? ), but I do not know where to put them. 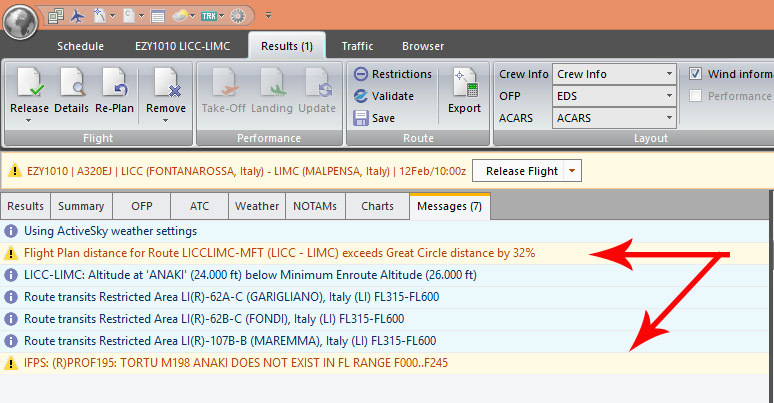 I tried to insert a flight plan from LIMC to LICC but if I click on "Find" in the Route section, PFPX shows me this window. I do not understand, I'm not an expert. They are files containing direct links for free route airspace, updated restrictions and airport data to aid correct auto-routing. The included readme file explains exactly how to proceed with there installation. Hi srcooke, I thank you for the help and now the routes seem decidedly more realistic, but I still have a doubt. 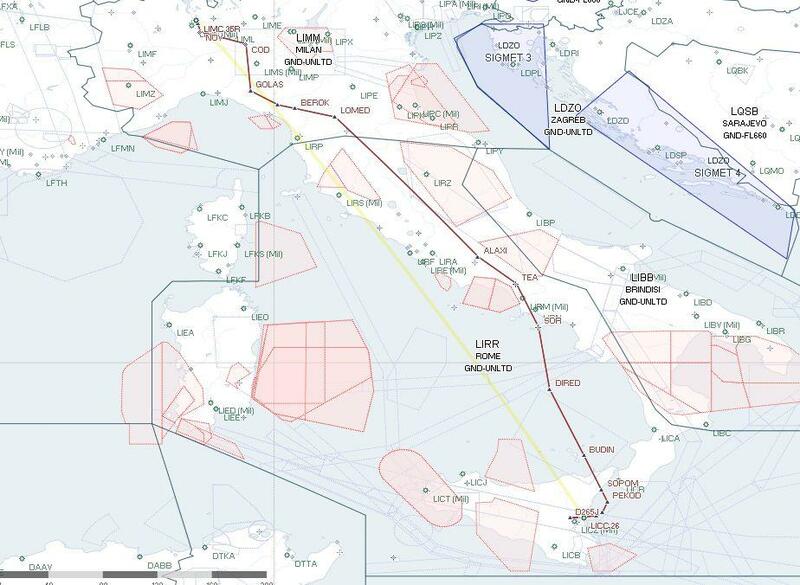 If the LIMC-LICC flight is indeed more realistic (see figure below), the one from LICC to LIRF seems more bizarre. In the image that I enclose, in fact, before arriving at the Rome airport, the route follows a strange and absolutely unrealistic ride. Can you explain why? Thank you. Check the chart for STAR, that is how it is depicted. Thank you, srcooke. This was usefull for me too. Can anyone tell me what it is and how to correct this error? I've version 2 PFPX and RAD Restrictions and Directs. 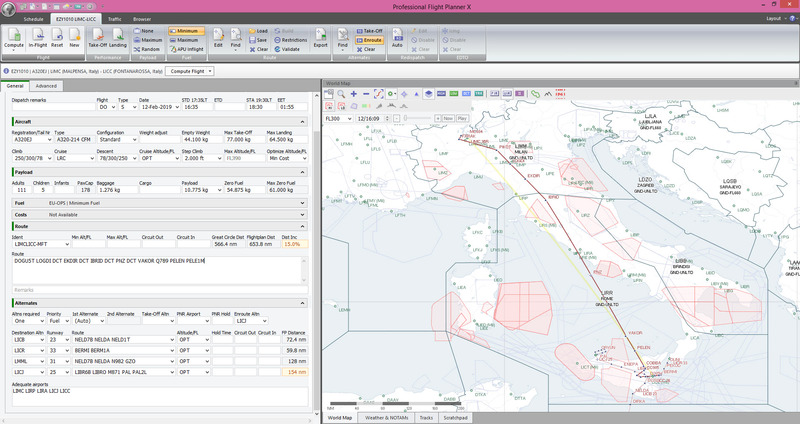 Have you selected an STS code in the aircraft editor or submitted an invalid code manually ? I send you the ATC submission (Airbus A320 Flight Factor). The Special Flight Status 'STS' setting 'VFPS' is invalid and nor is it from the PFPX options. You are entering this manually ? 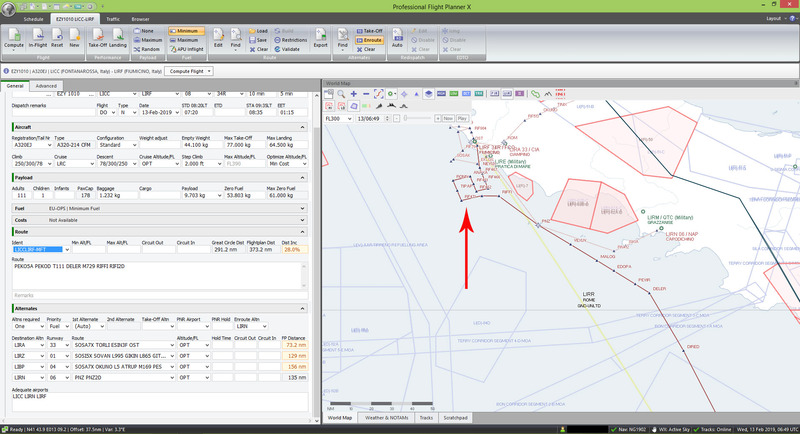 When you prefile a flightplan on VATSIM it adds a *vfps* at the beginning of your remarks section on the network. 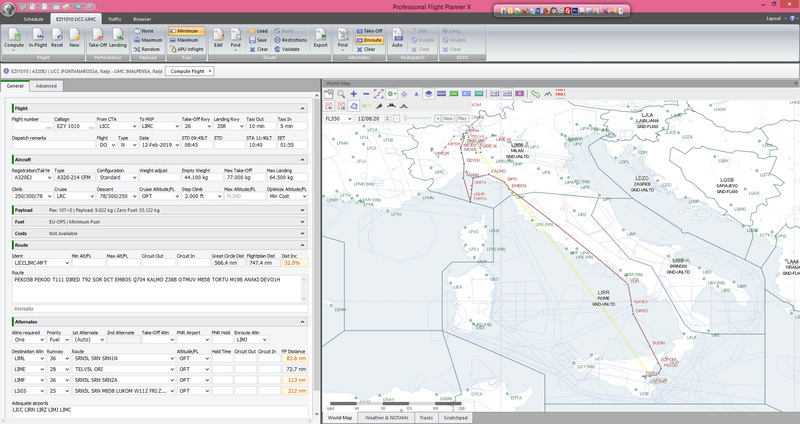 This stands for Vatsim Flightplan Prefile System if I’m not mistaken. No idea why you would add this into a Pfpx flightplan. Maybe the user got confused by this and tried to force PFPX to add it always? It is certainly not related to any real world procedure, thus it fails your validation. I have no idea how this came about in the plan. I removed "VFPS" from the STS and the error no longer appeared. May be on IVAO. Indeed "VFPS" isn't a option. I removed "VFPS" from the STS and it works.